Thai Airways took the top spot as the best economy-class airline in the world, according to the Skytrax’s annual “Best Airlines in the World” ranking for 2018. 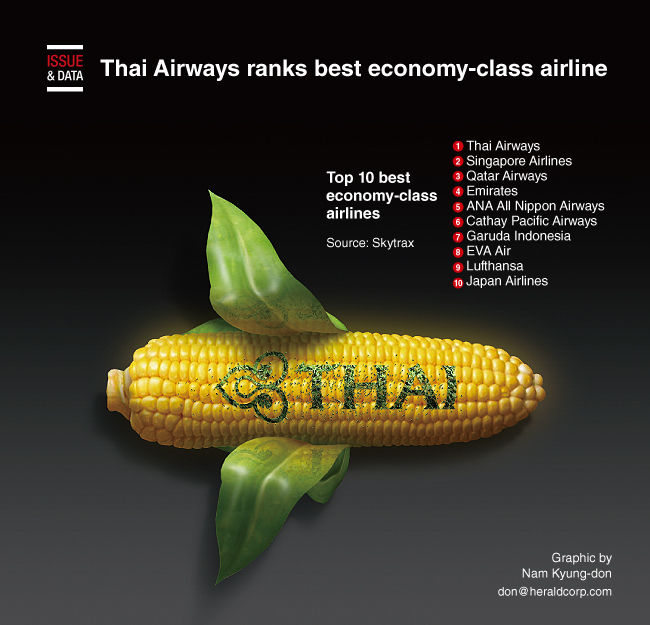 Airlines based in Asia dominated the ranking, taking nine of the top 10 spots. The UK-based consumer aviation agency’s survey based its ratings on more than 20 million customer satisfaction surveys.